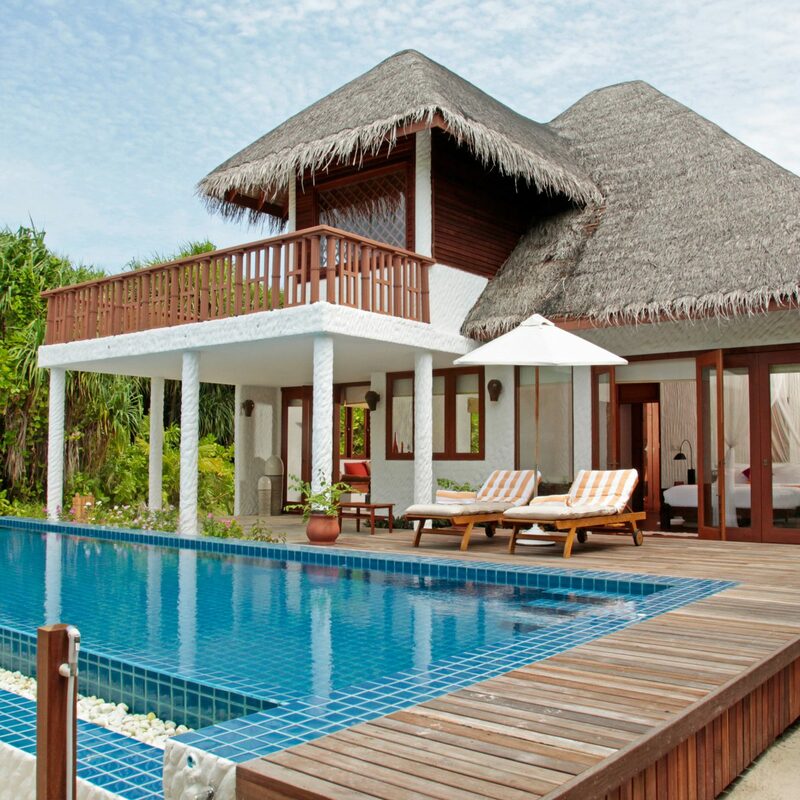 As if we needed another excuse to book a ticket to the Maldives. 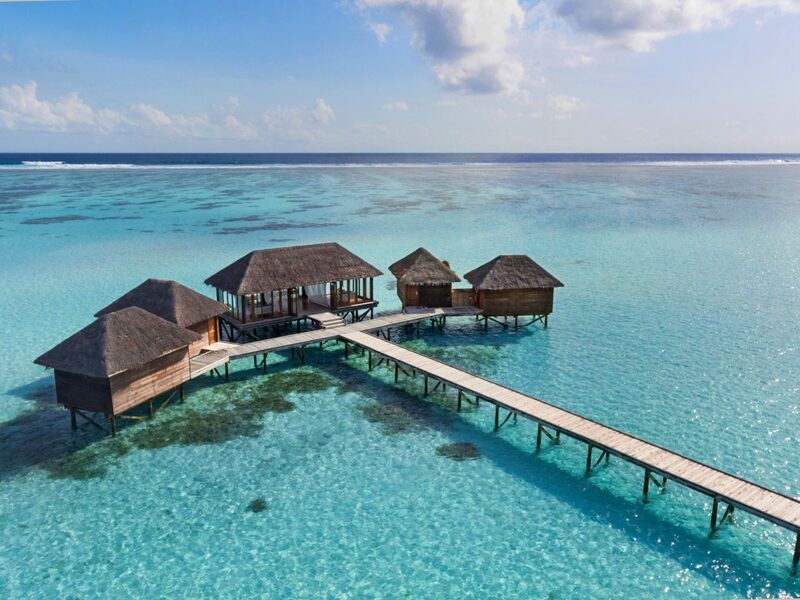 Overwater bungalows are so 2017. If you’ve ever dreamed of experiencing life beneath the waves à la The Little Mermaid, but your fantasies have not been assuaged by deep-sea diving or snorkeling, this is your year. 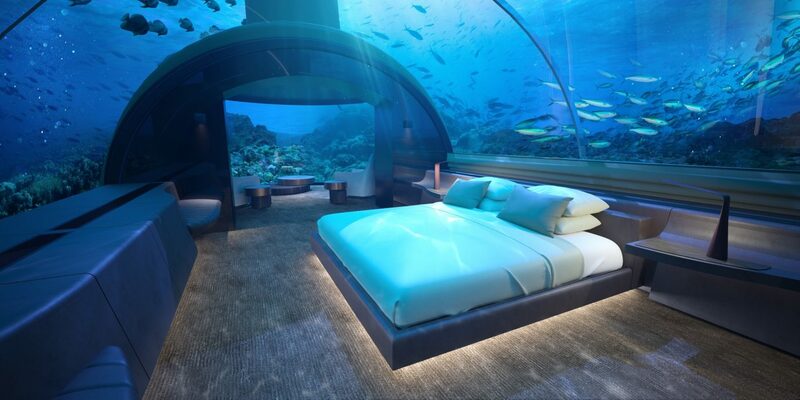 By the end of 2018, guests of the Conrad Maldives Rangali Island will be able to croon “Under the Sea” from the floor of the Indian Ocean, 16.4 feet below the water’s surface, in the world’s first-ever underwater villa. 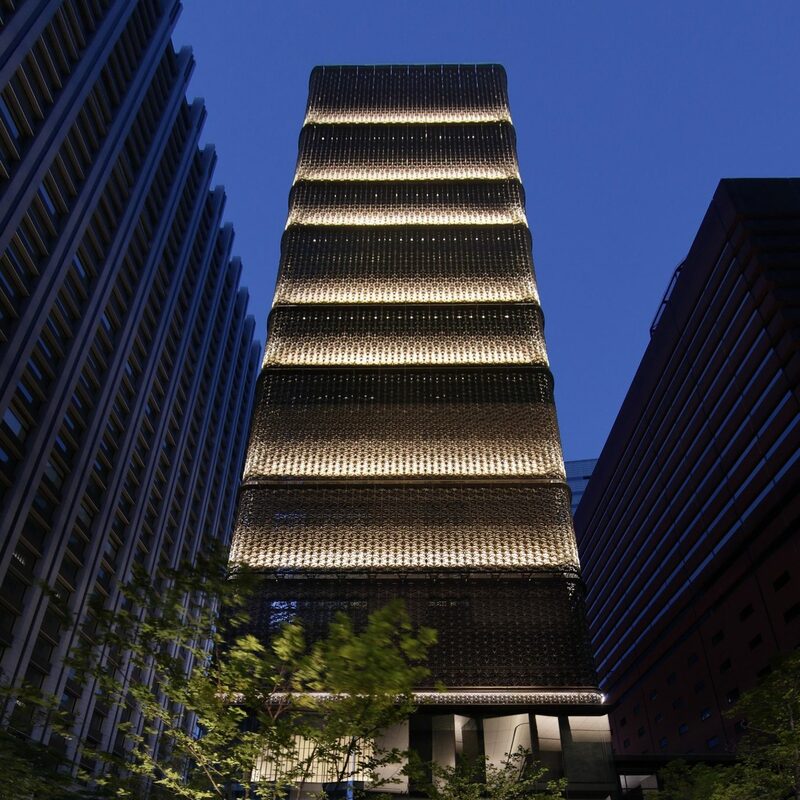 If you were envisioning some type of submarine-esque living quarters, however, think again. No expense was spared during building of the $15 million residence known as Muraka (“coral” in the local Dhivehi language). 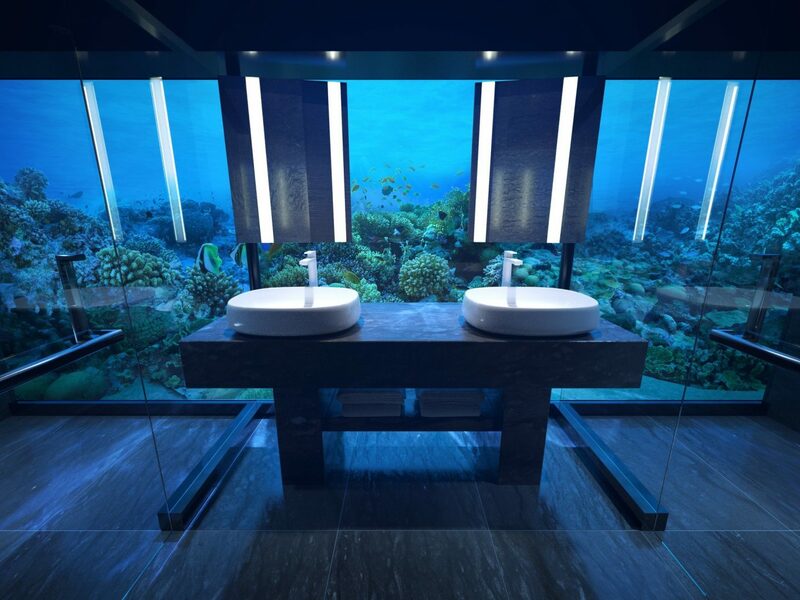 You’ll be able to fish-gaze through the glass ceiling of your fully submerged king-size bedroom and wall-to-wall bathroom window, which overlooks a colorful reef. There’s also a cozy living area linked via a spiral staircase to the upper floor, where you’ll find everything you’d want in your dream overwater bungalow: two additional bedrooms and bathrooms (one has an ocean-facing bathtub) along with a living room, gym, kitchen and bar, dining room, and a separate space for the butler. 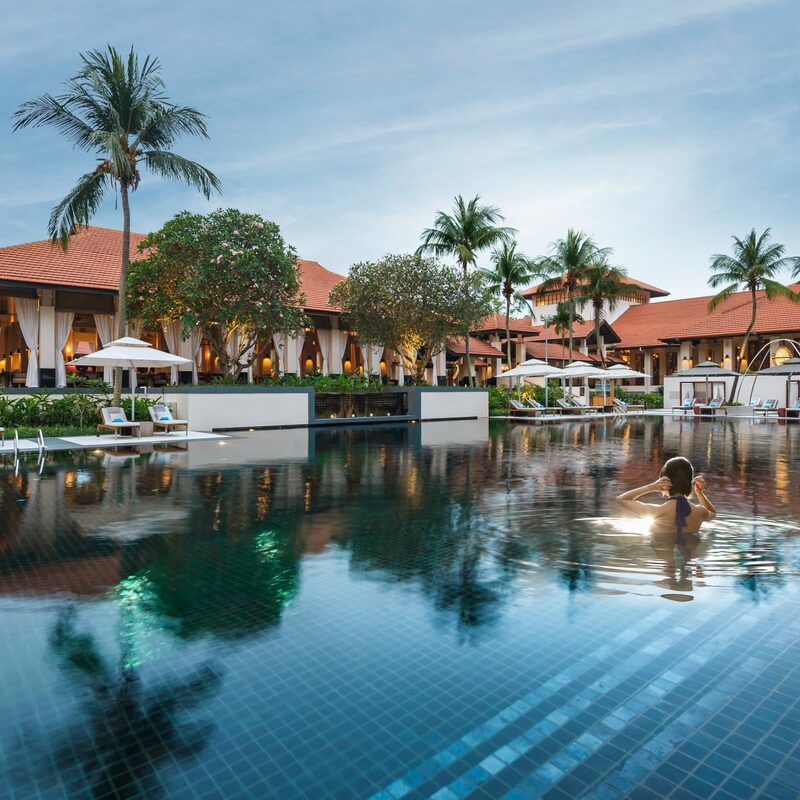 Of course, you’ll also have your own infinity pool and not one but two sundecks, each perfectly positioned for watching the sunrise and sunset. Can’t manage to snag a reservation? Don’t fret. 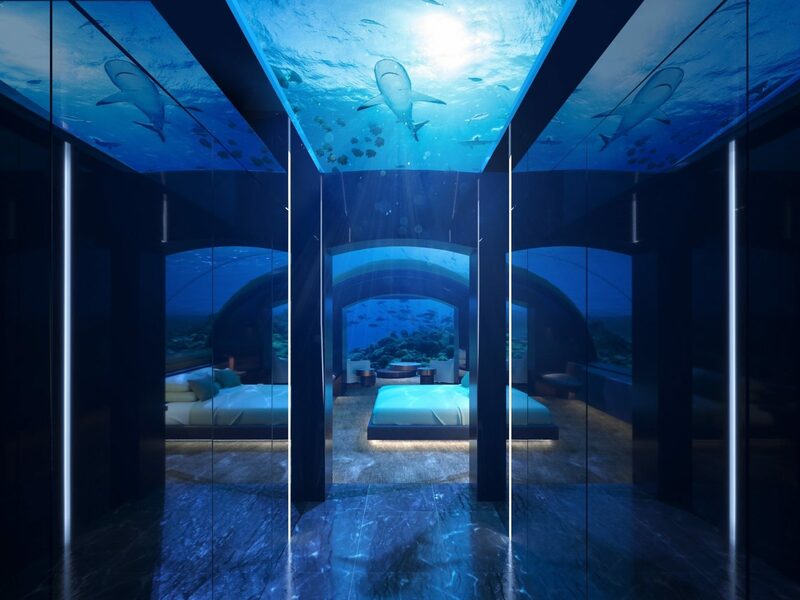 Anyone who visits Conrad Maldives Rangali Island will still be able to experience ethereal underwater views from the property’s submerged Ithaa Undersea Restaurant—another world first.